How does one become a dashing vigilante like Zorro? Well, first you need the right duds. Preferably something in all black. You’ll also want to make sure you have plenty of stylish accessories such as a cape and an awesome hat. Oh, and you can’t forget an eye mask to add a hint of mystery to the whole guise. 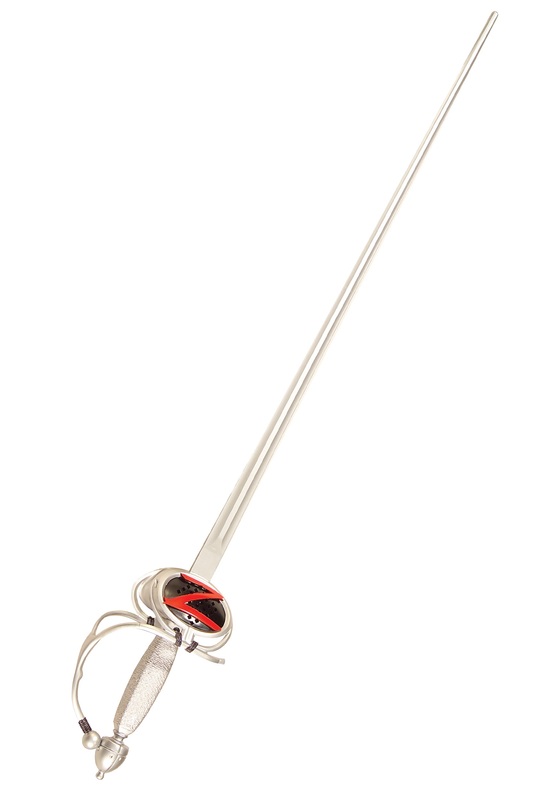 Once you have the look down then arm yourself with this Deluxe Zorro Sword. With this beautiful blade you’ll be able to mark a “Z” on just about anything. Whether it’s on the chest of your foe or on your drinking cup, you shouldn’t have a problem making your mark. Although you may have trouble drinking from a red solo cup that’s all cut up… So be sure to use your weapon wisely! Complete your heroic transformation with this Legend of Zorro Toy Sword and you’ll be ready to save everyone’s day this Halloween. I liked the sword. It was fine. I just didn’t like it for the costume as it had a “Z” on it implying I was Zorro when in fact I wasn’t. sword was great but it would of been better in the letter Z lite up.